Judy Lou is a passionate cello performer and instructor who completed her Master of Music from University of British Columbia (UBC) in 2015 under the tutelage of renowned cello performer, Eric Wilson (M.Mus. Juilliard). In University, she performed as a soloist, an accompanist, and a member of orchestra, string ensembles, and chamber groups. Notably, she frequently served as the principal cellist of UBC Symphony during her years of study and won the prestigious Friends of Chamber Music award for her chamber group in 2012. Since her studies, she has actively contributed to Vancouver’s music community through various performances and educational roles. As an active musician, Judy has worked with renowned artists such as with ‘Billy’ Zhang Yi-Chun, a prominent international artist, in ‘Tea and Dance’, as a solo cellist and represented Vancouver Chamber Player with violinist Jonathan Der and pianist Miri Lee in a piano trio. Most recently, she performed in the Vancouver Art Gallery series with Arietta Quartet and Libby Yu. As an educator, Judy has instructed many students in Langley Community Music School and Abbotsford Community Music School to successfully compete in music competitions (e.g. Kiwanis Festival) and complete Royal Conservatory of Music examinations. She taught as the sectional coach for Surrey Youth Orchestra and Langley Community Music School Intermediate Orchestra. 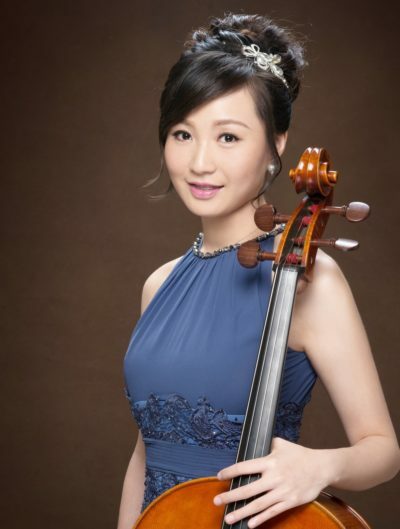 Also, she became a certified Suzuki instructor in 2017, as well as a member of British Columbia’s Registered Music Teachers’ Association, and continues to provide cello lessons of all levels in both English and Chinese. Outside her professional roles, Judy regularly organizes charity concerts for seniors and the community at large. Although she is classically trained, she has performed numerous contemporary pieces and is comfortable with musical styles of all forms. She strongly believes that music can improve lives and is constantly seeking to engage with fellow musicians and non-musicians to share her enthusiasm for the art.